Although Casa del Chef only opened in late 2014, the restaurant and its owner-chef Alfonso Zhicay are already forces to be reckoned with. In an area filled with cheap eats from around the world, this New American fine-dining Woodside restaurant can easily compete with any top-notch Manhattan joint. After all, Zhicay has experience working in famed city establishments such as Union Pacific and Bouley Bakery since arriving in New York in 1994. He carried that passion for quality ingredients when he began working with fellow chef Dan Barber at Blue Hill NYC. Zhicay worked his way up to head catering chef and manager when the company expanded within the Stone Barns Center for Food and Agriculture in Pocantico Hills. There, he sourced food from the center’s four-season farm, fields and pastures to create an ever-changing menu. 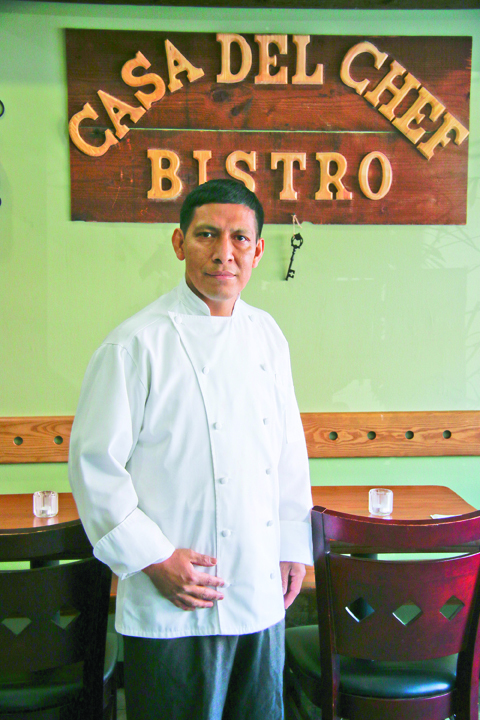 To this day, Zhicay maintains a fresh farm-to -table dinner by stocking Casa del Chef with items from a nearby market. Fresh fruit and vegetable availability has allowed him to play around with unique meal options for a limited time before switching it up again. On special occasions such as New Year’s Eve or Valentine’s Day, Zhicay’s entire lineup changes into what he calls “tasting menus.” What works as a pleasant surprise for restaurant-goers, they are offered three to five seasonal courses that go anywhere from spinach risotto to butternut squash soup with parmesan foam to chicha, an Ecuadorian fruit confit with a lemongrass infusion. Crowd favorites to watch out for include the fresh lobster, rack of lamb and short ribs. Working with his brother, Florencio, and his daughter, Sandra, Casa del Chef’s manager, the family looks forward to bring their community meals that are a bit unexpected.